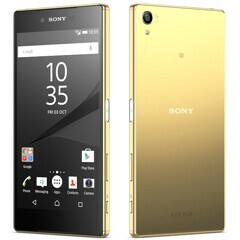 Sony this week announced no less than three new Android smartphones, all unveiled at IFA 2015 in Berlin: Xperia Z5, Xperia Z5 Compact, and Xperia Z5 Premium. Sony said that the Z5 and Z5 Compact would be released starting October, while the Z5 Premium should hit the market one month later, in November. The company didn't say if any of the new handsets would be available in the US, but we now know that two of them are going to be sold north of the border, in Canada. Sony confirmed via Twitter that both the Xperia Z5 and Xperia Z5 Premium will be released in Canada sometime "later this fall." Pricing details haven't been announced, but, based on the handsets' prices for the UK and Europe, they could cost around $700 and $800, respectively. As for the US market, CNET has it that, according to a T-Mobile spokeswoman, the carrier currently doesn't plan to offer any of the three Z5 handsets, while Verizon declined to comment. Of course, this doesn't mean that the new Xperia line can't make it to the US at some point. Both the Xperia Z5 and Z5 Premium are dust- and water-resistant, feature fingerprint scanners, and are powered by octa-core Snapdragon 810 processors. However, while the regular Z5 sports a 5.2-inch 1080p display, the Z5 Premium has a 5.5-inch 4K (2160 x 3840 pixels) display, being the world's first smartphone to offer such a crazy screen resolution. You can find out more about the two handsets by checking out our Xperia Z5 hands-on, and our Xperia Z5 Premium hands-on. I need to see a battery benchmark on the premium. what do you think?, its premium unless its the z5 compact. No, it was simply that I forgot that they were suggesting it's $800 Canadian, and I was thinking US$800. Wait what? You'd rather pay $800 USD over $800 Canadian? Bizarre. You want a good phone but don't want to pay for it? Well you simply wait then until the price decreases to the level you are willing to pay for. Paying for one of the best Is by no means cheap. That's likely the price in Canadian dollars. It lines up with recent "premium" devices. The Note5 is $850 off contract, while the S6 + is $950 off contract. im sure US will be next hopefully on carriers too. Only 5 more days to the event. Release the Beast. Can't wait. My money is ready. Let's do this. Why not sell the compact as well. It was available in Canada through their online store. Unlocked and all. This was how to get around the Carrier exclusive they had with BelI I believe. You had to be willing to pay the full unsubsidised price for it though. There will be Z5C Premium with 1080 FHD EXCLUSIVELY for Japan according to GSMArena. Docomo exclusive = just forget it exists. There will never be a US release. This is Sony we're talking about... (and it looks like Verizon might've even canceled the butchered Z4v). This is what I mean. They don't care about putting these phones on all carriers here in the states. All the big players figured it out but Sony. That's why I can't like them. Seriously All Sony Needs To Do Is Bring There Phones To All Major US Carriers, Its Their Down Fall Man. I Would Buy A Z5 If It Came To At&t. Hello People. being of topic here I need help here, I was updating my HTC One X s720e yesterday and I installed the update without removing the charger. Now its stuck at the HTC logo restarting itself over and over again. Can someone help please. I don't want to root my phone. sounds like you will have to factory reset. Make sure your phone is fully charged and completely shut down. Hold down the volume down button and the power button. Your screen will turn on and you will be entering the "bootloader". Using the volume up and down key to navigate scroll down and highlight "Factory Reset". press the power button to select. Warning this will remove all data on the phone and return it to how it looked when you first got it. Continue using the volume and power keys to navigate the menus. Once the reset has started simply leave you phone alone for a while (PLUGGED IN). After a few hours your phone should running the stock software and you can start over again. I just hope the compact will be compatible with tmobile in the US.